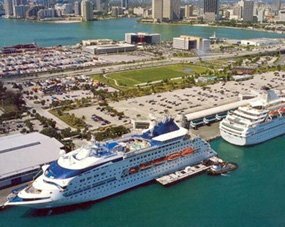 Looking for a Park and cruise near a Port Everglades hotel that is affordable, in a great location, and has many amenities? Look no further than our excellent smoke-free hotel, Quality Inn & Suites Hotel. 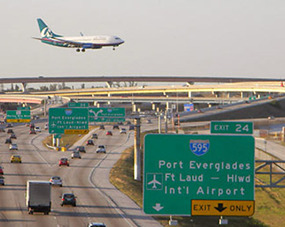 Our Eco-friendly hotel is located between Miami and Fort Lauderdale, and situated on a beautiful tropical landscape. When you contact us to reserve your room be sure to ask about our park and cruise package deals! Cruisers and non-cruisers from all over the world love our hotel! 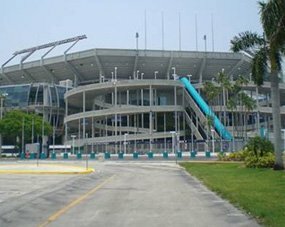 Our Park and Cruise near Port Everglades Hotel will impress you! We are minutes from gorgeous beaches, an exciting nightlife, restaurants with different types of cuisine, shops, casinos, concert arenas, sporting events, and so much more. Our hotel provides round-trip shuttle service to these locations, cruise ports, and the airport, for a small fee. With so much to do away from our hotel and on our premises, you will never be bored! Even though we are a smoke-free hotel we provide designated areas for our smokers who wish to smoke. You will love Quality Inn & Suites Hollywood Boulevard! 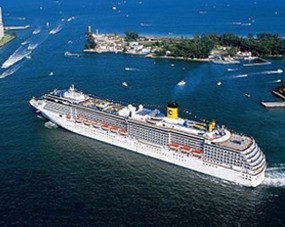 You will love our Park and Cruise near Port Everglades Hotel with amazing amenities such as an outdoor heated pool, FREE WI-Fi, Free hot and cold continental breakfast, FREE 24-hour coffee, sundry shop, business center, elevator, guest laundry, and FREE parking. Each room is equipped with a refrigerator, microwave, hair dryer, coffee maker, iron, ironing board, comfortable mattress and linens, generous supply of fluffy pillows, soft plush blankets, and safes in every room. Our hotel is easily accessible to persons with disabilities so we welcome everyone and will accommodate every guest we meet. To get the lowest rate on room call us direct at 877-981-1800, or visit our website and click on the book and save link.